The New Year heralds the beginning of many bright and beautiful festivals across the vast lands of India. The month of January sees the country wake up to many celebrations of harvest festivals such as Pongal, Lohri, Makar Sankranti, etc. In relation to the harvest festivities, unique events such as the Kite Festival is also being held in various destinations. Let us take a look at the two key Kite Festivals that you must look at attending the coming year. The Kite Festival is no joke, it is a serious competition where the best of talents battle it out for the top slot. Do not be fooled by the simplicity of the sport, it involves intricate understanding of the aerodynamics, weather conditions and opponent psychology. 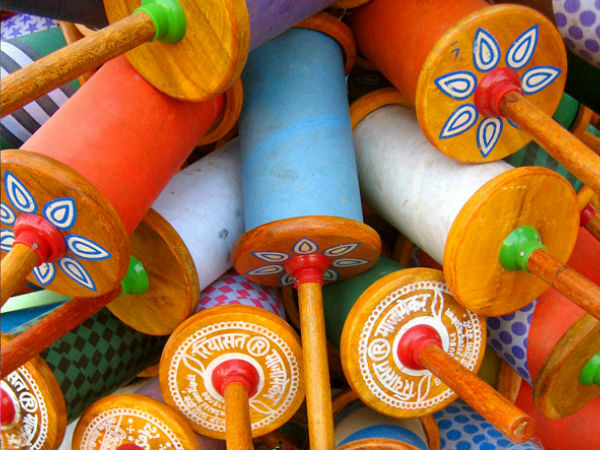 Kites are also specially prepared, with spools of thread specially coated in a glass powder and rice paste to make the strings sharper so that they can cut through the competition's kites. In January, get ready to witness the grand spectacle of the sky turn colourful as hundreds of kites, of all colours and shapes take to the sky across the various parts of Gujarat. The kite flying festivities are celebrated as a part of the Uttarayan or Makar Sankranti festival in the state. It is the Indian version of thanksgiving and sees every family happily taking part in the many rituals and traditions. Preparing kites specially for this day and flying it from the terrace with friends and family is an intrinsic part of the festival. A set of myriad hues. The International Kite Festival that attracts people from across the world to this fun and exciting sport is held in Ahmedabad. In fact the season sees kite making as a short-term business opportunity by itself. The Patang Market is abuzz for weeks prior to the main event. The sheer variety in colour, pattern and shape will boggle your mind. The activities continue with the same passion even through the night. Yes you read that right, in fact special illuminated kites are also flown in the dark. Talk about fun! Keep track of festivals and events in Gujarat here. You can be a part of the International Kite Festival 2019 at any of the colourful venues of Ahmedabad, Vadodara, Kevadia, Dwarka, Surat, Rajkot, Songadh, Jetpur, Saputara and Dhordo that is happening all over Gujarat between 6 January - 14 January 2019. The quote 'Imagination is the highest kite one can fly' holds true for the Kite Festival in Jaipur, Rajasthan. Yet again in celebrations of Makar Sankranti, that marks the decline of winter and the emergence of longer days, the kite flying festival is held in the neighbouring state of Rajasthan's popular travel destination; Jaipur. Organised by the Tourism Board, the festival is open to participants from all over the world. Jaipur is among the top travel destinations in the country, and it comes as no surprise as there is so much to see in this vivid city. Palaces, museums, forts and so much more. But in January the entire city gets ready for an occasion that has much religious and cultural significance, the Makar Sankranti. The tourism board along with the residents set up a kite market, along with food stalls and cultural performances. Here too the night sees a unique set of festivities, including the flying of illuminated kites called Tukals. Enjoy the fierce competition as every kite in sky is treated as fair game. If you decide not to play, you can still enjoy the sight of the many kites, from small to as large as 1.3 mt blot out the blue with a variety of hues. Get to know more about the festivals in Rajasthan here. You mustn't miss the Kite Flying Festival of Jaipur which is happening on 14 January 2019.